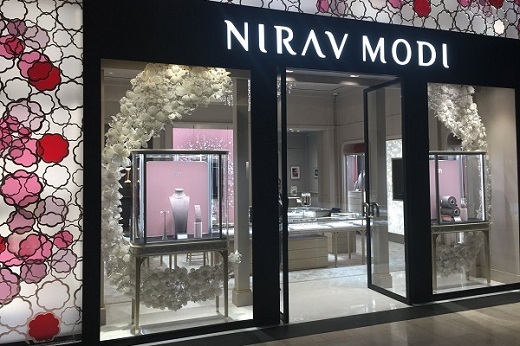 RAPAPORT... Nirav Modi’s US jewelry businesses were directly involved in the Indian fugitive’s alleged billion-dollar bank fraud, a court examiner has concluded. Mihir Bhansali, the CEO of Firestar Diamond, Fantasy and A. Jaffe, as well as Ajay Gandhi, their chief financial officer, assisted at least partly in transactions necessary for the fraud to succeed, the report claimed Saturday. The US bankruptcy court for the Southern District of New York appointed an examiner in April to assess whether the three companies — which filed for Chapter 11 in February — had participated in the alleged scheme by Modi to borrow $4 billion through sham transactions, the document continued. Previous reports had estimated the fraud at $2 billion. Following a 120-day investigation, the examiner, John Carney, said he found “substantial evidence” that the firms, as well as Bhansali and Gandhi, knew about and were involved in the alleged crimes that occurred in India. Indian authorities are hunting for Modi, who is currently in the UK, according to reports. In his 165-page report, Carney identified “tens of millions of dollars of purported diamond sales by the debtors to various shadow entities, where payment can be traced to proceeds from the alleged bank fraud.” Money from these deals flowed from India to the US, and often returned to Firestar in India or went to fund the three US companies’ operations, including for payments on loans from US banks. Diamonds that these “shadow entities” bought or sold routinely went for shipping on the same day or within days of arriving, without employees even opening them for inspection, the report alleges. Certain high-value diamonds were the subject of “round-tripping,” meaning they were bought and sold multiple times at varying prices, often well above market rates. That gave the false appearance of millions of dollars in legitimate transactions, and facilitated the movement of funds, Carney said. In addition, Firestar’s reported sales in tax returns from 2011 to 2017 — and A. Jaffe’s from 2011 to 2012 — were millions of dollars, and sometimes tens of millions of dollars, lower than the companies’ records in sales journals. Neither their CFO nor any of their employees could explain the origin of the figures in the tax returns, the report added. Millions of dollars from the “shadow entities” also went through the three US companies to fund the operations of jewelry retailer Bailey, Banks & Biddle, the examiner’s report alleged. That company did not immediately respond to Rapaport News’ request for comment. Throughout the investigation, Bhansali declined to answer the examiner’s questions other than to confirm his identity, asserting his Fifth Amendment right not to incriminate himself. Gandhi admitted “at some point” that Firestar India employees had told him that the purpose of the loose-diamond transactions was to obtain financing in India, specifically letters of undertaking (LoUs). LoUs are the type of bank guarantee that Modi allegedly obtained fraudulently. The companies had claimed they were “innocent victims of the fraud,” Carney noted. In a court declaration shortly after their Chapter 11 filing, Bhansali said the Modi allegations had hit the firms’ supply chains and back-office support, significantly damaging their ability to operate. In a letter last Wednesday, Bhansali’s lawyer rejected allegations the executive “engaged in any criminal wrongdoing,” and warned the examiner not to view his client’s silence as an admission of guilt.